Why do we need an enterprise mobility management (EMM) solution? What are the suites and products that make up IBM MaaS360? 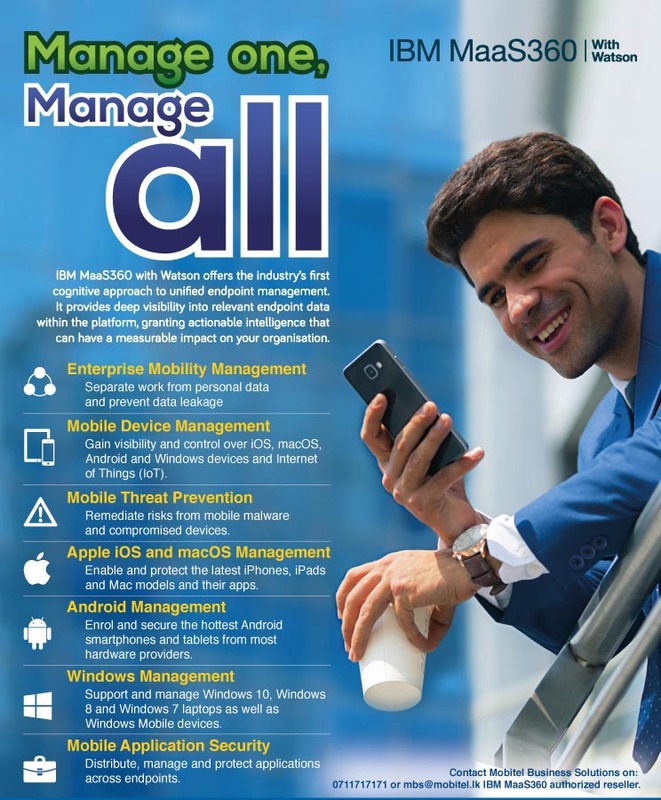 Mobile Device Management: Manage smartphones, tablets & laptops featuring iOS, Android, Windows Phone and BlackBerry. Gain visibility of devices, security & network. Enforce compliance with near real-time & automated actions. Mobile Application Management: Deploy custom enterprise app catalogs. Blacklist, whitelist & require apps. Administer app volume purchase programs. Mobile Expense Management: Monitor mobile data usage with near real-time alerts. Set policies to restrict or limit data & voice roaming. Review integrated reporting and analytics. Secure Mobile Mail: Contain email text & attachments to help prevent data leakage. Enforce authentication, copy/paste & forwarding restrictions. FIPS 140-2 compliant, AES-256 bit encryption for data at rest. Secure Mobile Browser: Enable highly secure access to intranet sites & web apps w/o VPN. Define URL filters based on categories & whitelisted sites. Restrict cookies, downloads, copy/paste and print features. Mobile Application Security: Contain enterprise apps with a simple app wrapper or SDK. Enforce authentication & copy/paste restrictions. Prevent access from compromised devices. Mobile Content Management: Contain documents & files to help prevent data leakage. Enforce authentication, copy/paste & view-only restrictions. Access IBM MaaS360 distributed content and repositories such as SharePoint, Box, OneDrive and Google Drive. Mobile Document Editor: Create, edit & save content in a protected, encrypted container. Collaborate on Word, Excel, PowerPoint & text files. Change fonts & insert images, tables, shapes, links and more. Mobile Document Sync: Synchronize user content across managed devices. Restrict copy/paste & opening in unmanaged apps. Store content with enterprise grade security, both in the cloud and on devices. Gateway for Browser: Enable IBM MaaS360 Gateway for Browser to access enterprise intranet sites, web apps and network resources. It provides protected access without needing a VPN session on the mobile device. Gateway for Documents: Enhance IBM MaaS360 Mobile Content Management with protected access to internal files, e.g. SharePoint & Windows File Share. Retrieve enterprise documents without a device VPN session. Gateway for Apps: Add per app VPN to IBM MaaS360 Mobile Application Security to integrate behind-the-firewall data in private apps. Incorporate enterprise data without a device VPN session. IBM MaaS360 Mobile Threat Management helps detect, analyze and remediate mobile risks on iOS and Android devices, including malware, suspicious system configurations and compromised devices, thereby delivering a new layer of security for Enterprise Mobility Management. manages Windows-based laptops, desktop and ultra-books, and Apple MacBooks, iMacs and Mac Pros, delivering actionable intelligence across all of your laptops and distributed PCs. By collecting and correlating endpoint data from these devices, you get visibility into hardware and installed software, missing patches, outdated anti-virus signature files, and so much more. What device types and associated software versions are supported by IBM MaaS360 Mobile Device Management? Compatible with iOS 4.3+, Android 2.2+, Windows Phone 7.5+, BlackBerry 5.0+ and Amazon Fire OS devices. IBM MaaS360 Laptop Management supports Microsoft Windows XP SP3, Windows Vista, Windows 7, Windows 8/8.1+, Windows 10 and Mac OS X 10.5 – 10.10. Instant, same day support of the latest mobile OS platform releases and upgrades is included. What are the benefits of using MaaS360? Samsung KNOX is a mobile security solution ideal for businesses of any size offering multi-tiered security model, device management capabilities, and enterprise features. This work/play environment ensures work data and personal data are separated and that only the work container is managed by the enterprise. Personal information such as photos and messages are not managed or controlled by the IT department. Once activated, the KNOX Workspace product is tightly integrated into the KNOX platform. The enterprise can manage Workspace like any other IT asset using an MDM solution (Mobile Container Management).Samsung KNOX Workspace includes a rich set of policies for authentication, data security, VPN, e-mail, application blacklisting, whitelisting, and so on. What are the benefits for businesses and their employees? How can employees individually manage their device via the user portal?